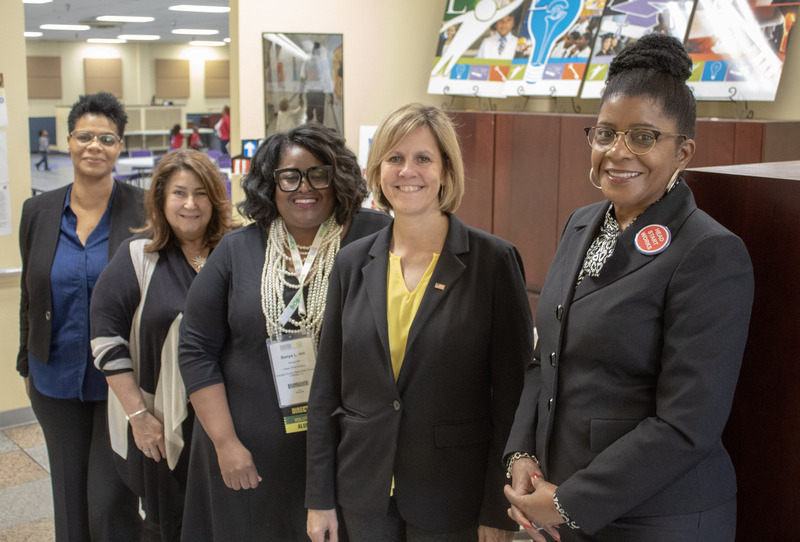 Orange County’s Head Start Division recently co-hosted more than 2,000 guests at the National Head Start Association’s (NHSA) annual Parent and Family Engagement Conference in Orlando. The conference is one of the largest national gatherings that focus on training and how Head Start parents, families and staff can best collaborate to promote family engagement and children development. Orange County’s Head Start provides high quality, comprehensive services to economically disadvantaged children and their families through collaborative partnerships. Head Start promotes school readiness and economic stability for children and families by enhancing social and cognitive development through educational, health, nutritional, social and other services. The program is celebrating 54 years in the community and serves more than 1,536 children – ranging from 3 to 5 years old – in 82 classrooms in 22 centers across the County. During the five-day event, Orange County Head Start staff provided classroom tours to conference participants, highlighting two Head Start sites and two Early Head Start sites. Dr. Deborah Bergeron, Director of the National Office of Head Start, also visited the Head Start sites. In her remarks, Bergeron praised the program for maximizing and engaging community stakeholders. She also highlighted local successes and stated that other nationwide programs could learn from best practices in Orange County. First started in 1965 by President Lyndon B. Johnson, the program has evolved to support children’s growth and development in more than 1,700 communities across the nation focusing on a positive learning environment through early learning, health and nutrition, and family well-being. Head Start partners with more than 40 non-profit and community-based organizations and has a shared governance system between the Board of County Commissioners, County staff and the Policy Council, which is consists of 51 percent parents and 49 percent community partners. For more information about the Orange County Head Start Division, contact Sonya Hill at 407-836-6590, sonya.hill@ocfl.net or visit Orange County Government’s website.